We're pleased to announce a new collaboration with Extreme Genes, "America's Family History Radio Show." NEHGS Chief Genealogist David Allen Lambert is now a segment co-host of the weekly program, along with Scott Fisher, the show's founder and producer. Extreme Genes reaches radio audiences in ten states, and the podcast is available through the Mormon Channel, iHeartRadio, iTunes, Spreaker Radio and Podcast, Stitcher Radio, Tune-in Radio, and YouTube. David's first appearance as segment co-host, in Episode #91, can be streamed online. Visit Extreme Genes for more information. Volumes 1 through 20 of the Great Migration Newsletter, published between 1990 and 2011, are available in this new database. Each 8-page issue contains one or two feature articles with in-depth analysis of a record set or some aspect of Great Migration studies, an editor's note, and a review of recent Great Migration literature. AmericanAncestors.org offers a number of other databases in our Great Migration category related to The Great Migration Study Project, which aims to create accounts of immigrants to New England from 1620 to 1640. The Great Migration Newsletter database will be available to guest users for one month following its release. Each month we feature selections from Chapters in American Jewish History, a series of essays edited by Michael Feldberg, PhD, Executive Director of AJHS from 1991 to 2004 and current Executive Director of the George Washington Institute for Religious Freedom. This month, we feature an essay on Moses Elias Levy, a Moroccan Jew who believed that Florida could be the new Zion and a home for persecuted European Jews. Finding information about your New York ancestors can be tricky. Learn what resources are available at NEHGS and on AmericanAncestors.org, and gain valuable research advice from New York expert Chris Child. Register today! Do you have ancestors who served during the colonial wars, the American Revolution, or the War of 1812? Military research expert David Allen Lambert discusses resources at NEHGS that can help you in your research. Watch the video. Visit the Online Learning Center for subject guides on a variety of genealogical topics, informative videos, webinars, online courses, and more. If you have questions or feedback, contact Ginevra Morse, Director of Education and Online Programs. St. Lawrence County is located in northern New York, along the St. Lawrence River. Its county seat is the village of Canton. The St. Lawrence County Historical Association (SLCHA) collects and preserves archival material and artifacts related to Lawrence County's history, and has made a number of resources available on its website. The St. Lawrence County Historical Association Quarterly has been published since the mid-1950s. View the table of contents of past issues, or browse an alphabetical list of authors. Links to resources on external sites are provided, including cemetery transcriptions, photographs, and a vital records database covering 1847-1849. Click the Civil War dropdown menu for links to the Abolitionist Database and the Veterans Database. The Abolitionist Database was compiled from original St. Lawrence County abolitionist petitions in the Congressional Archives in Washington, D.C., as well as contemporary newspaper accounts, local histories, and other records in the St. Lawrence County Clerk's Office. The data fields in the alphabetical index are last name, first name, source, petition/town, church/anti-slavery society affiliation, office held/year, and town of residence. The Veterans Database is a comprehensive list of St. Lawrence County Civil War soldiers. The data in this alphabetical index includes name, rank, enlistment date, unit, residence, birth date, birthplace, parents' names, and notes. The notes field includes information on the veteran's service and mustering out, marriage and spouse's name, circumstances of his death, death date, place of death and burial, and more. Last week's survey asked if any of your ancestors were musicians. Below is a selection of comments sent to us and posted on our Facebook page. Liz LeVan of San Antonio, Texas: My grandmother, Anna May Putscher Van Sickle, and both her sisters sang opera. They grew up in Newark, New Jersey, and when Thomas Edison wanted to record opera singers--his wife was a big fan of opera--he invited my grandmother and her sisters for lunch and then recorded them singing. My grandmother told me that when they were eating lunch at the Edison house and they would talk to Thomas Edison, his wife would say, "Turn on your hearing aid, they're speaking to you." My grandmother said that Thomas Edison was not a big fan of opera but, because his wife was, he "humored" her by inviting opera singers to lunch. My grandmother was in her teens at the time and was the youngest person inducted into the New Jersey Oratorical Society. Steve Snell of Cape Canaveral, Florida: Your weekly survey about ancestors who were musicians was incomplete--you neglected to include a category specifying musician ancestors who served in the military. I have ancestors who served as musicians in both the War of 1812 and the Civil War. Weekly Genealogist Assistant Editor Valerie Beaudrault: My great-great-grandfather, Mortimer W. Brooks, was named fiddling champion of Vermont and New Hampshire in 1926 in Bellows Falls, Vermont. He succeeded Calvin Coolidge's uncle John Wilder, the previous year's winner. Mortimer won a loving cup and, according to family lore, some gold pieces. According to the Brattleboro newspaper, his winning repertoire included "Turkey in the Straw," "Green Fields of America," and "Pop Goes the Weasel." My mother has his violin and loving cup. Anne Jones of Holmes Beach, Florida: My great-grandfather, Reverend Luther Clapp of Wauwatosa, Wisconsin, had perfect pitch and sang in and outside the home. My grandfather, Reverend Chauncey Goodrich, from Hinsdale, Massachusetts, sang in and out of the home and also wrote music for hymns for a hymnal when he was a missionary in China. Debbie Semonich of Shelton, Connecticut: When I started researching I knew little about my paternal line, but I did know that my grandfather--who died when I was four--and the men of his family all worked in the coal mines in eastern Pennsylvania. My grandfather left the mines earlier than most of the men in his family to move to Connecticut to work in the factories. I sent for his Social Security application and, to my surprise, I found he'd listed his employer as the "W.P.A (concert orch.) in Scranton." I first wondered if perhaps he'd done custodial work for the orchestra hall. I mentioned this to my stepmother, who said, almost surprised at the memory, "Oh no! Your grandfather was a musician! He played five instruments!" After the shock wore off, I concluded he must have been a musician in the orchestra, which still amazes me, five years after the discovery. To this day I am perplexed by how an illegitimate son in a family of immigrant coal miners learned how to play the French horn and the trumpet, as well as three other instruments. For more reader comments on this topic, visit our Facebook page. 8%, Yes, at least one of my ancestors spent time working as a professional singer. 21%, Yes, at least one of my ancestors spent time playing an instrument professionally. 21%, Yes, at least one of my ancestors was an amateur singer who performed outside the home. 32%, Yes, at least one of my ancestors was an amateur who played an instrument outside the home. 30%, Yes, at least one of my ancestors sang for family and friends at home. 46%, Yes, at least one of my ancestors played an instrument for family and friends at home. 29%, No, I am not aware of any of my ancestors singing or playing an instrument during adulthood. This week's survey asks about cross-country travel. Take the survey now! Two teams of scientists "presented the largest studies to date of ancient European DNA, extracted from 170 skeletons found in countries from Spain to Russia. Both studies indicate that today's Europeans descend from three groups who moved into Europe at different stages of history." "An astounding, one-of-a-kind trove of stories and drawings reveals what life was like for young men growing up in rural 19th-century America." Rachel Rifkin writes, "I picked out eight photos of my relatives--both women and men--and in November 2014 filmmaker/photographer Angela Park, graphic designer Tara Nitz, costume designer/makeup artist Kathryn Wilson, hairdresser Tammy Rupe, and I gathered to recreate them." More than 500 letters Delmar Jack Laudon of Dover, Minnesota, wrote to his wife and daughter during his World War II service were saved and eventually brought to life in a Winona State University classroom 70 years later. The Bookstore at NEHGS is offering 20% off on its entire Experts' Choice collection! These books, recommended by our staff, feature new forewords by the experts at NEHGS and are an essential addition to your own genealogical library. For a limited time, you can save 20% on all titles in the Experts' Choice collection. Browse the entire collection. Questions about the books or shipping prices? Email or call toll free at 1-888-296-3447. Prices valid through June 30, 2015, while supplies last. Can not be combined with other offers, including the NEHGS member discount. Prices do not include shipping. Experience the world's largest library for genealogy and family history as we return to Salt Lake City and the Family History Library for our thirty-seventh annual research tour. Activities include individual consultations with NEHGS genealogists, lectures, and other special events. The itinerary is now available online. Register today! Where: NEHGS, 99-101 Newbury St, Boston, Mass. When: Saturday, June 20, 10-11 a.m. This free orientation and tour introduces you to the resources available at the NEHGS research facility and expert staff here to help you navigate it all. You do not have to be a member to participate; no registration necessary. When: Saturday, June 27, 2-3 p.m. 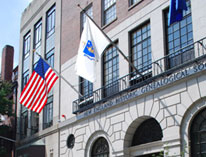 Since 1845, NEHGS has been collecting unique items of Americana and fine art, including portraits of New England notables, hand-crafted furniture, coats of arms, and early family registers. Learn the stories behind items that illustrate life in early America. Register today! When: Wednesday, July 8, 6-7:30 p.m. Letters from Erastus: Field Notes on Grace (Levellers Press, 2015) details the author's examination of her family's past and the links she uncovered to the present. Join author Anne D. Emerson to learn about her process of family discovery and how an ancestor's words from 150 years ago impact her today. Book sales and signing to follow. Register today! *To register for our free events, you must "Add to Cart" and go through the checkout process--your total will be $0.00. Questions? Call us at 1-617-226-1226 or email education@nehgs.org. Visit our website to learn more about our upcoming tours and education programs.